Thomas Wookey 1789-1846 : A man in search of belonging? This is a complicated story. I warn everyone now. It’s a search for a DNA connection. However, this is the DNA cousin matching experience most of us are having. If you are forewarned, you will probably come through it. Names of living people have been changed to protect privacy. Readers of my blog might know that we have a mystery relative, Ted, discovered by a Family Finder DNA test. That relative has been accepted into the family quite warmly, but we still do not know how he fits. He is a cousin or uncle to my tested family member John. Ted and John are the same age and grew up in the same small town. Research has been complicated by the small gene pool in this region. Many living residents share two or three sets of ancestors in different configurations. John has a relative called Ronald. The two of them share great great grandparents William Sargent and Mary Ann Kingshott on John’s father’s side. William Sargent came from Hawkhurst in Kent. Mary Ann came from Hampshire. The pair married in 1840 in New Norfolk, Van Diemen’s Land. William and Mary Ann had daughters Elizabeth and Eliza, among other children. Elizabeth is John’s great grandmother. Eliza is Ronald’s great grandmother. Through this connection they are third cousins. John and his relative Ronald are also connected on John’s mother’s side. They share great great grandparents Robert Briers and Lydia Jelley. Both Robert and Lydia came from Leicestershire but married in New Norfolk, Van Diemen’s Land in 1845. Robert and Lydia had two sons Robert and William, among other children. Robert is John’s great grandfather, William is Ronald’s great grandfather. They are third cousins all over again. Here’s my rough and ready visual with Sargent in black lines, Briers in Green. John and Ronald are both Sargent and Briers descent. I won’t add in more names to maintain simplicity and protect the privacy of living people. At first I thought maybe we could use Ronald to close in on the connecting relative. But no! John and Ronald, as it turns out, have a large X-Chromosome match which should not be there. John and Ronald’s sister Anne have an even larger X- match. It’s a new puzzle to be solved. On the above chart, an X chromosome from Sargent-Kingshott could pass through Elizabeth to her daughter (John’s grandmother) and from there to John’s father. But there it stops. It will pass from John’s father to one of his daughters (John’s sisters), but it cannot pass to John himself. An X-chromosome from Lydia Jelley will pass to her two sons Robert and William, but will not pass from her son Robert to his son (John’s grandfather). On the other hand, William Sargent, Mary Ann Kingshott and Lydia Jelley are all on Ronald’s X lines. The likelihood is that the discrepancy exists in John’s tree not in Ronald’s tree. We already had two NPEs showing in John’s tree (one being Ted, the other three generations back in John’s direct paternal line). This said, both families lived in this same complicated region so I could not be sure where the discrepancy lay. Learning that the tree is still wrong does not surprise me, disappointing though it is. This branch came from a rural location where life was very rustic and human relations meant everything. Couples either married when both of them were about sixteen years old, or the age gap was anything up to sixty years. The modern traditional family structure cannot be taken for granted. Extramarital affairs were not uncommon and were rarely seen as cause for divorce. Desertion was cause for divorce and this right was exercised when needed. An affair on the part of one spouse was just as likely to be seen as ‘permission’ for the other spouse to do the same. Our family knows and understands that this is how it was. These recent ancestors were good people who loved their children and grandchildren, and successfully brought their families through some tough times. It does make for a very complicated task when identifying DNA matches. John has five hundred and ninety eight Family Finder DNA matches and the only ones we can place with confidence are his own son and grandchildren. Even his known third cousin might be more closely related than expected! After a year of working at this, I think I have ruled out most of the incorrect family, but have not managed to replace with anyone. Lately, I have been looking at the ancestor lists of his matches and searching their names in the local registers. If I found a neighbour of my family, related to an ancestor of one of our DNA matches, I’d be onto something. Then came a new FtDNA family finder match, showing as predicted 3rd-5th cousin to John, and as predicted 2nd-4th cousin with Ted. I’ll call him Arthur. He shares a 26cM segment with Ted and 17cM of that same segment with John. There are a couple of other segments around 7-11cM shared with one or the other. There is a common ancestor somewhere. Arthur, however, does not show as ‘in common with’ Ronald. To be quite sure they were not a match, I emailed Ronald who told me Arthur is not on his match list. This was rather exciting, but I’d been to this point so many times that I was not yet hopeful about it. 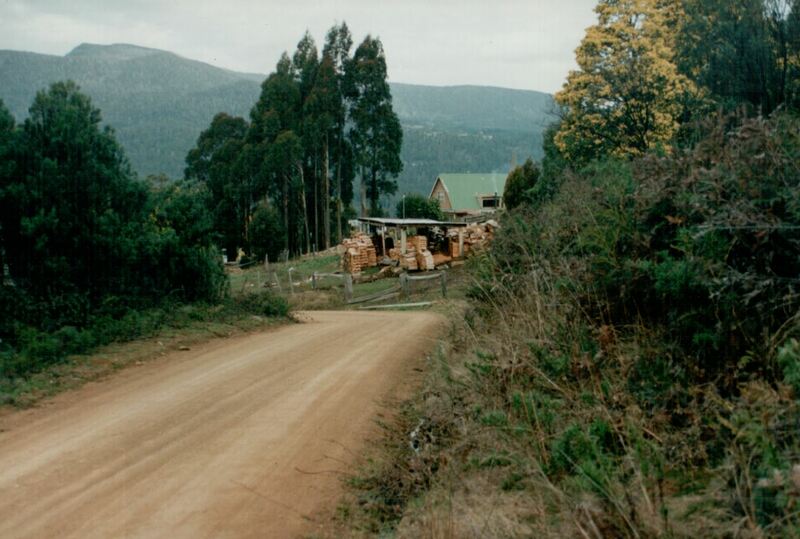 I sent an email to Arthur, a somewhat subdued if not outright dejected email, saying I was trying to resolve an anomaly in the tree and asking if among Arthur’s ancestors, did any have siblings or descendants who settled in Tasmania? I wasn’t even sure what country Arthur lived in. I received a response not many days later, with an offer to share trees and a few initial suggestions. Three of them are surnames from the correct region of Tasmania, but one name stood out to me. ‘Gleeson from Nenagh, Tipperary’, the email said. Catherine Gleeson born 1834 in Nenagh arrived it seems as a free settler and married Phillip Sallabank in Bendigo 1857. I looked in my tree and found a very exciting prospect. In my family chart above, Robert Briers and Lydia Jelley had two sons Robert and William. To keep the family lines clear I simply labelled their spouses as ‘wife’. William Briers’ wife was named Catherine Whelan. She was born in South Australia to free settlers William Whelan and his wife Winifred Moloughny, both from Tipperary in Ireland. 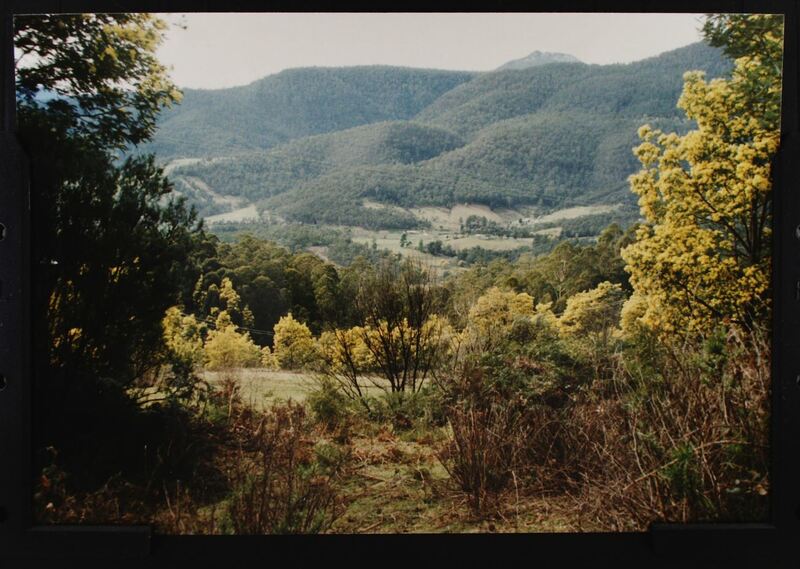 They ended up at the goldfields in Victoria where William Whelan died, leaving Winifred with two young children. Winifred married again in 1855, as women generally did in that circumstance. Her second husband was Thomas Gleeson from Knocknagoogh in Nenagh, Tipperary. 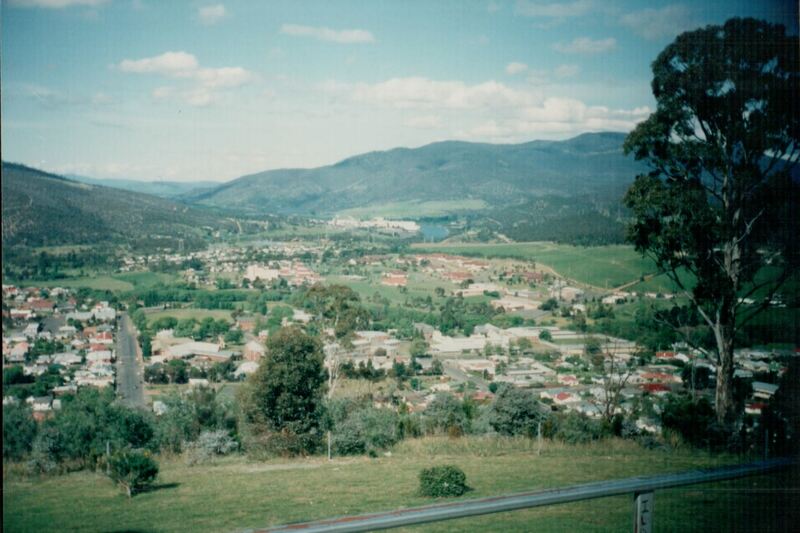 Then they moved to Tasmania, bringing Catherine, and settled in Lachlan. Four children were born to them in Lachlan before Thomas Gleeson died in a horseriding accident while drunk. So, I thought to myself, what would it mean if John was a descendant of Thomas Gleeson and Winifred Moloughny? Was it physically possible? Did the years match? Somehow, I’d never looked properly at the Gleesons. Thomas and Winifred married in 1855 and the four children were born in 1856, 1858, 1859 and 1861. Thomas Gleeson senior died in 1862. I’ve blogged in the past about our Daley branch, Evelyn’s supposed paternal line. There is a question mark over every single generation as each time the mother was already pregnant or the child already born at the time of marriage. Evelyn was born in 1894 and her mother, Fannie Rawlinson, was a week past her sixteenth birthday. No official registration has been found for Evelyn’s birth. By the time Fannie married Sydney Daley in 1899 she was a single mother of three girls. Evelyn was the eldest of those three. John received his X-chromosome from his mother who was Evelyn’s daughter, so the chances are strong that at least some of John’s X came from Evelyn. I have therefore looked closely at her as the pathway of this mysterious X-match portion, but of course her true father might have been anyone. The dates do not match for the Gleeson girls to be Evelyn’s paternal grandmother. If one of them was her mother, then that girl gave a baby up for adoption to a just-turned-sixteen year old single girl? That doesn’t sound likely. The most likely scenario here – still a scenario I point out, merely a working theory – is that Thomas Joseph Gleeson born 1856 might be Evelyn’s father. Thomas Joseph Gleeson had received an X-chromosome from Winifred Moloughny. Catherine Whelan also received an X chromosome from Winifred Moloughny. Catherine’s X Chromosome might have passed down – daughter to daughter – to Ronald. If Thomas J Gleeson was Evelyn’s father, his X chromosome would have passed to her, intact as he had it from Winifred Moloughny. Evelyn passed it to her daughter who passed it to John. Ronald, while related to Winifred Moloughny, is not related by blood to Thomas Gleeson so would not match Arthur at all. It’s a theory which works. Not an easy theory since Thomas J Gleeson married Harriet Brooks in 1876, and was still married in 1894. The legitimate Gleeson descendants might be surprised and concerned. Also, Fannie Rawlinson was in Ouse while Thomas J Gleeson was in Lachlan. One of them must have travelled to the other for some reason. Work maybe? Over the next few months in my spare time, I will be attempting to prove or disprove this theory.